Make editing and revising FUN with stations! 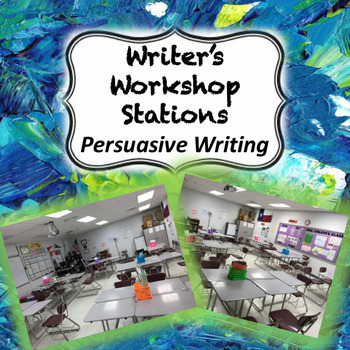 Students get up and moving with these Persuasive Writer's Workshop stations! If you're looking for informative writing stations click here! Students can complete these edits and revisions electronically on Google Docs or on paper if they print out their rough drafts. If you like this product, leave a review! 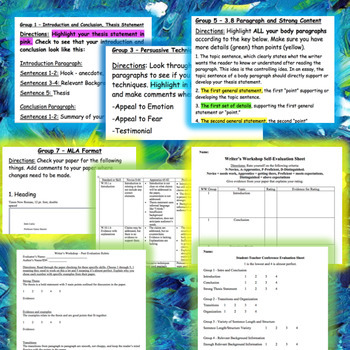 Then, check out my Research Paper Unit which includes these stations along with 30+ pages of other activities and lesson to help your students learn to write essays! Did you know that you can receive credits towards future TpT purchases by reviewing this product? If you enjoy this product, please leave a review at the product page or through “My Purchases” under “My Account” at TpT! Thank you!